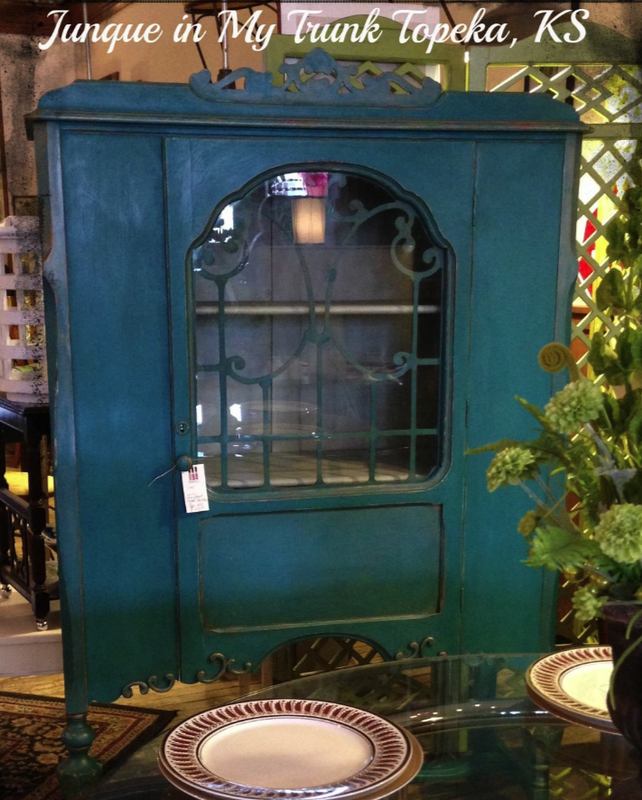 Junque in My Trunk painted this china cabinet with Peacock over Voyage, Coral Reef and Beach Glass. 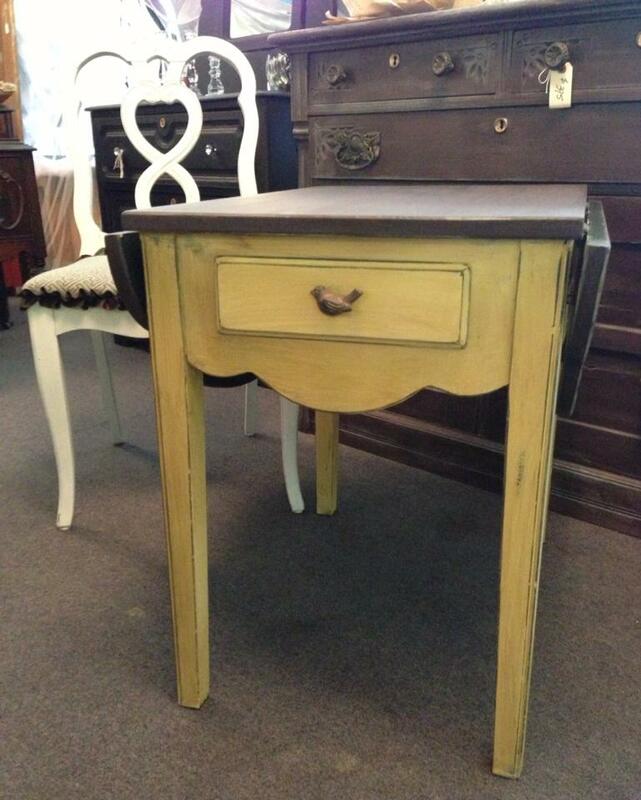 The inside was painted using Voyage, Top Coat and then Dark Wax. The outside was finished with 50/50 Clear and Dark Wax. Final details include Clear wax with Copper Mica on the scroll work, edges of the cabinet, corners, round window and edge of the top. 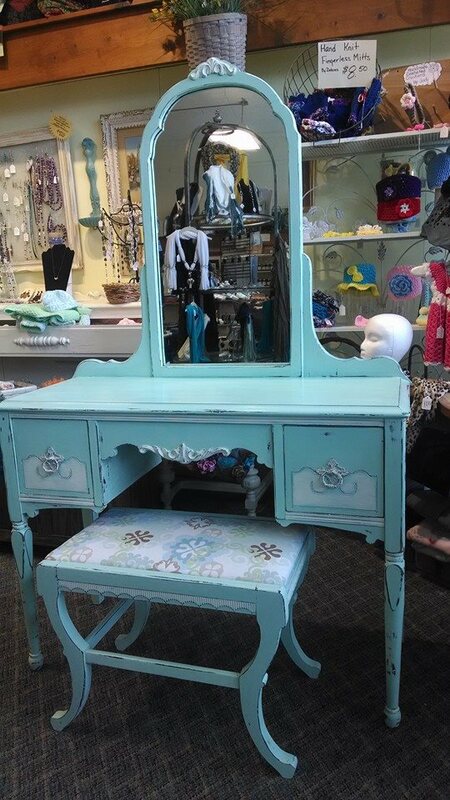 Simply Charmed painted this pretty vanity set with Treasure Box. 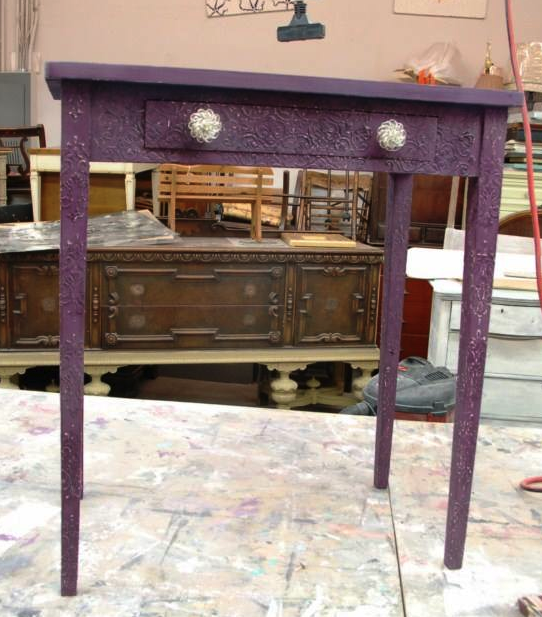 Fabulous Finishes decided to create their version of the 2014 Pantone color Radiant Orchid. The stenciling was done with random stencils and a stone plaster medium. 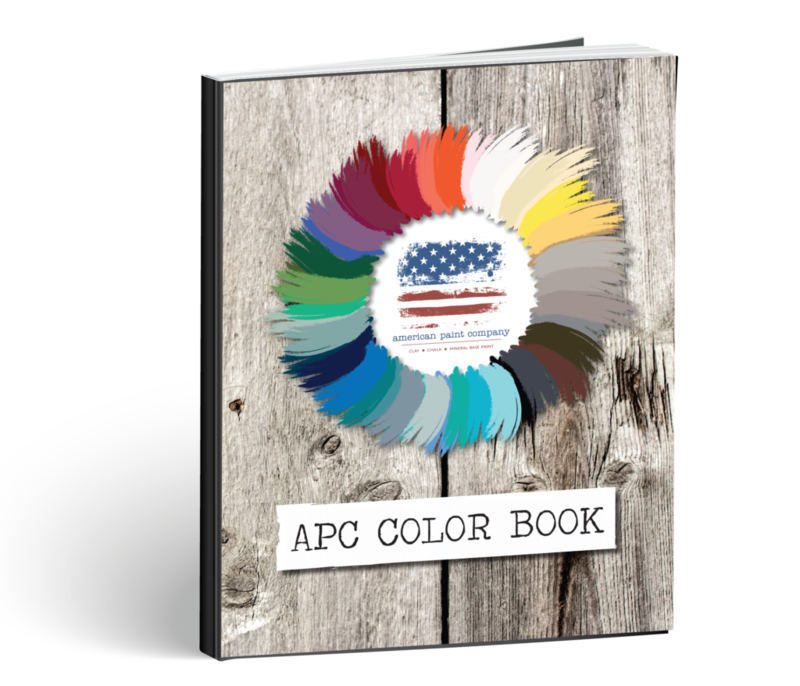 Two colors of purple were created using all American Paint Company colors – (dark: Born on Fourth and Bordello) (light: Bordello, Shining Seas, Fireworks Red). 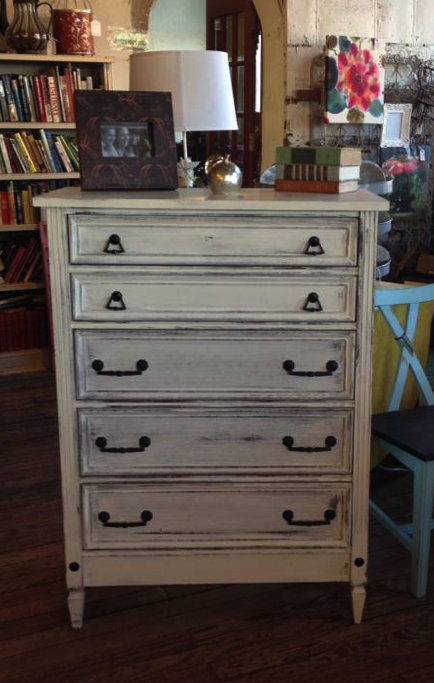 The Old Store finished this dresser using Home Plate and distressing heavily. 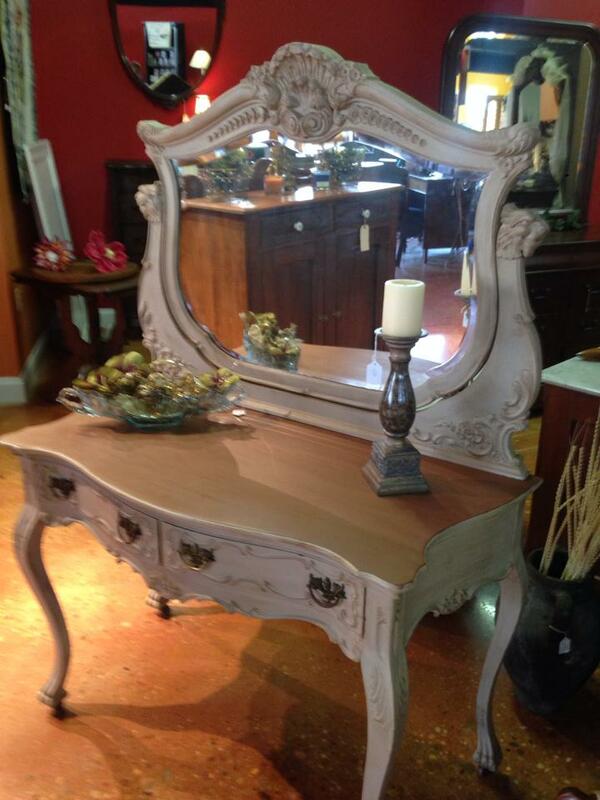 Home Decor by Terri painted this vanity with a swivel mirror in Sackcloth (Ellis Collection) with a metallic glaze, Clear Wax and Copper Mica. 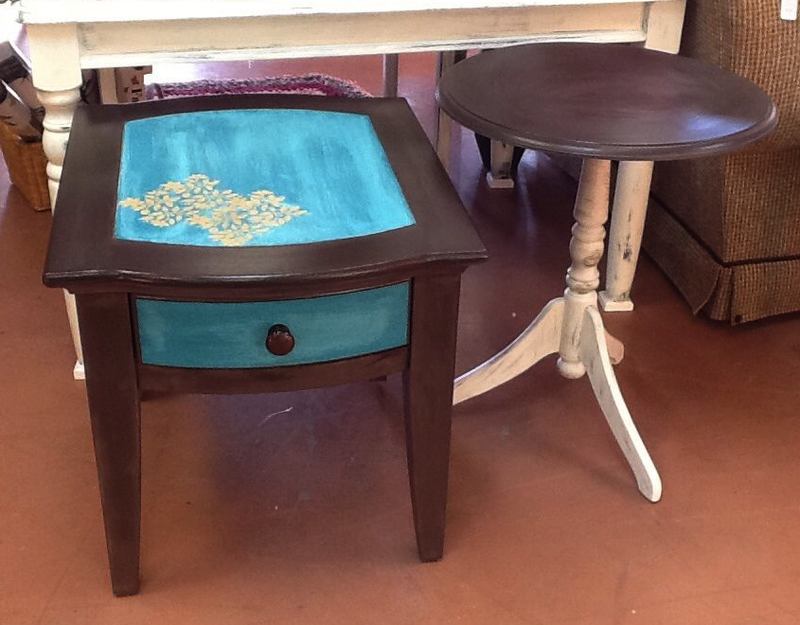 Sweet Pickins’ painted these two tables using Wild Horses, Home Plate, and Peacock brushed with Surfboard. Pieces finished this scalloped side table with Wild Horses and Amber Waves of Grain. 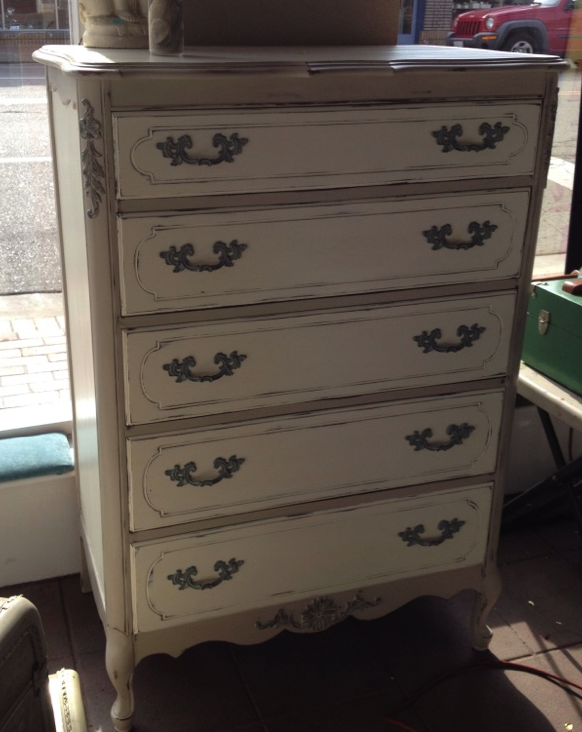 Lia finished this dresser using Liberty and Home Plate. 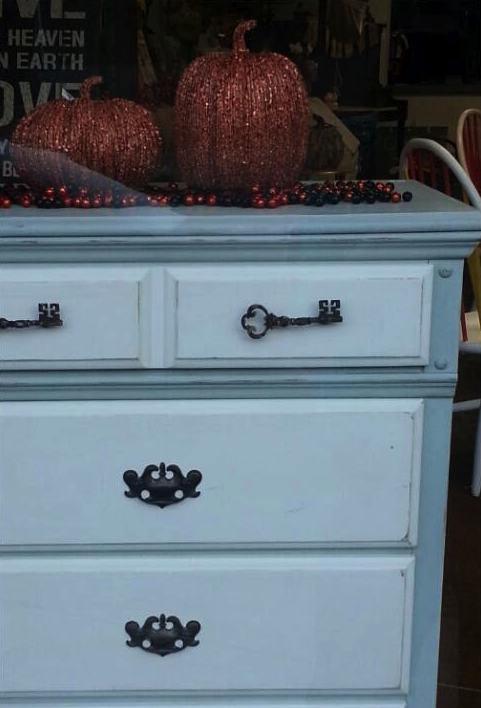 Little Sister’s Stuff painted this dresser using Home Plate and Rushmore with a little Dollar Bill on the flower details. 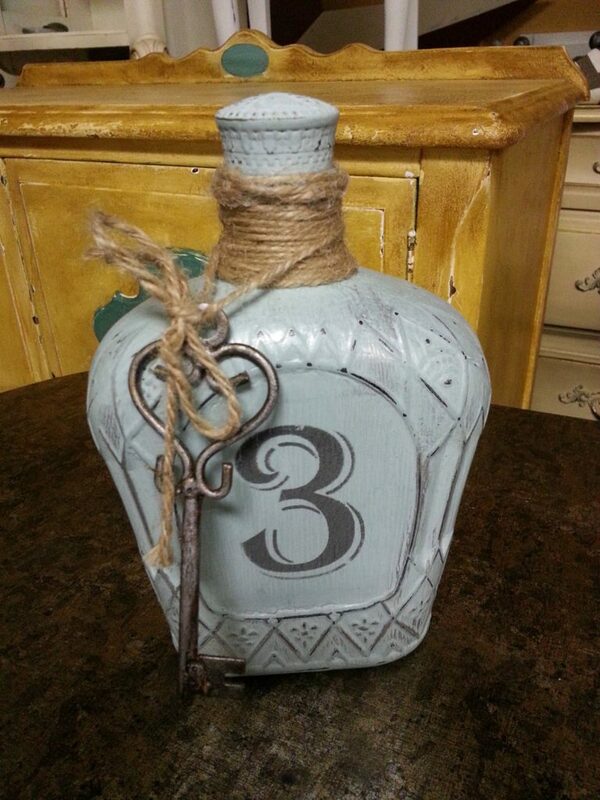 Floor 2 Ceiling Designs painted this recycled Crown liquor bottle using Voyage and Cannonball.